Valentina is a Clinical Psychologist working with adults presenting with a wide range of psychological conditions including mood disorders, anxiety, stress, adjustment to life, grief and loss, trauma, sleep management, weight loss/management, chronic pain and psychosomatic disorders. Valentina’s relaxed, non-judgmental and approachable style enabled her to form trusting and strong therapeutic relationships. Valentina tailors her treatments to individual needs of clients to help them develop resilience, the capacity to self-reflect and the ability to self-analyse. 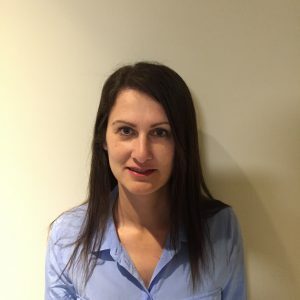 Valentina is passionate about helping her clients to develop strategies to better cope with and resolve their difficulties, increase their well-being and better adjust to life. Depending on clients need Valentina is able to provide brief and/or long-term psychological therapy and interventions. Valentina uses a combination of therapeutic approaches, including Cognitive Behavioural Therapy (CBT), Acceptance and Commitment Therapy (ACT), Eye Movement Desensitisation and Reprocessing (EMDR), Emotional Freedom Techniques (EFT), Schema Therapy and Clinical Hypnosis. Valentina has worked in a variety of settings, including hospitals and the private sector, treating all age groups. Valentina’s special interest is working with adults with a history of chronic pain, trauma, psychosomatic disorders and weight issues. Valentina is will be on leave until August 2019.